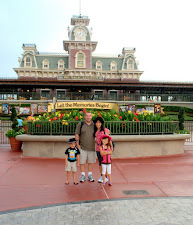 It's a joy to remember our fun-filled vacation in Orlando Florida last year. We met the Dias family and we all explored the magical Disney World. Below are some photos that I am very fond of. What more could be fun than meeting another family friend and spent it in a fantasy place like Disney! Nothing nicer than a combined family outing. Looks like a lot of fun for you all! What fun! Happy Pink Saturday! What a great day you all had. Happy Memories in the making! You do have a wonderful family life and good photography collection here! Thank you for visiting my blog and happy to discover another photo blog to follow. I'm so glad that you met Blogger friends at Disney. It looks as if you had a great time. I guess that one must dress lightly to handle the Florida heat and humidity - for a visit this important, you must be comfortable! RMU = Robert Morris University? I believe that is across from the Pittsburgh airport. A great ruby! lovely couples, sweet friendships :D visiting from MYM. I like those pictures. A nice blue in this fantastic place. Lovely shots. Looks like a fun time had by all. What a fun outing with family and friends. Love the blue hat w/ moon and stars; especially the last photo, it's great of all of you! What a fun vacation with family friends. So happy for you. Sweet memories with friends. Beautiful photos. Talagang nag e enjoy kayong lahat. It's almost Monday again, but I'm here visiting your last Blue one. Lovely family photos!